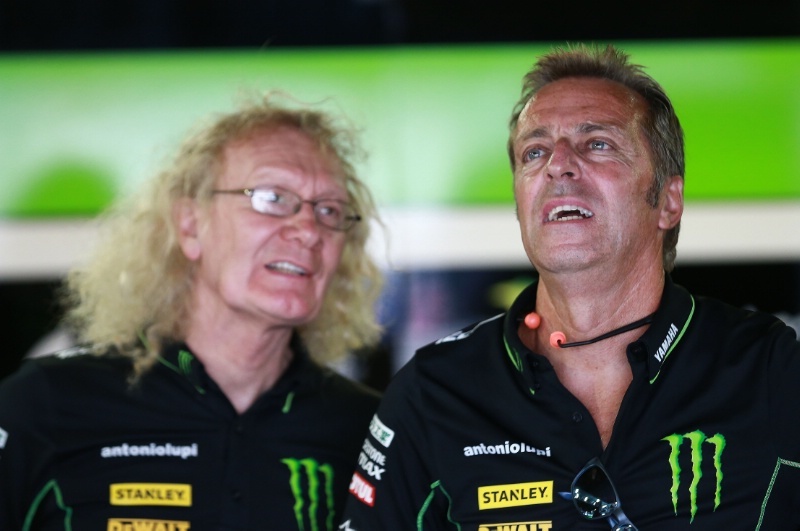 The second part of an exclusive interview with Herve Poncharal, boss of the Tech 3 MotoGP and Moto2 teams, as well as president of teams' association IRTA. Marcel Schrotter and Ricky Cardus finished 10th and 18th respectively in last year's Moto2 World Championship. Both took a best race finish of 7th. Schrotter scored double the points (80) of his previous best GP season with late-signing Cardus managing five times more than before (45). Tech 3 designs, builds and races its own Moto2 machine. I think it's the first time you've kept the same Moto2 riders for a second season Herve, so you must be pleased with Marcel and Ricky? In Moto2 we had a big disaster at the start of last year with Alex Mari?elarena's accident in winter testing, which is still upsetting for us. Afterwards, Ricky stepped in and did an incredible job. Both Marcel and Ricky pushed hard and had by far, by far, their best ever Moto2 seasons. I'm very happy to keep the same two riders for the first time, as you mentioned. For me that was very important in terms of continuity and to thank them for their hard work, their never-give-up attitude and especially their team spirit. They were happy to continue with us and use our chassis. They can see how hard we work, the evolutions we bring and that we are different. They never asked to switch to another chassis because although there are some weak points, they could also see that they had some strong points compared to the opposition. I'm very proud about that. Next year we will have three of our Mistral bikes on the grid, because we will also supply Louis Rossi and the Tascaracing team, which is good. I don't think Suter [one bike on the provisional 2015 entry list, one more expected] were in any position to be seen as a bad bike, or a bike that couldn't win. If you look at what Aegerter, Zarco and Luthi did last year it was very impressive. 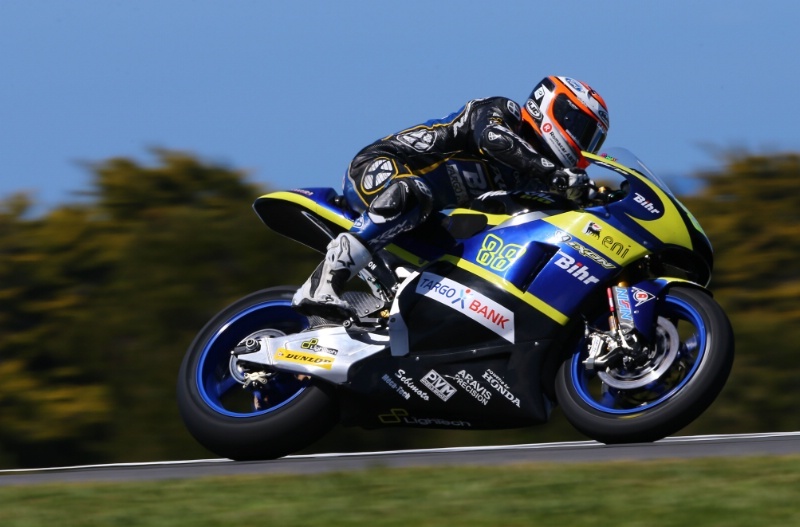 Suter have been winning races and fighting for podiums. As I said before for MotoGP, you have to remember that the rider is a big part of the result. In Moto2 we already have the same tyres, fuel, oil, engines and electronics. We have only a few chances to make a difference, mainly with the pieces of aluminium in-between the wheels - called the chassis and swinging arm. We can also work on the bodywork for aerodynamics and chose the suspension and brakes. Outside of that everybody has the same. I think it's a bit of a shame, because team managers are cracking under pressure from sponsors, who are following the advice of their riders. Riders tell the sponsors 'give me a Kalex and I'll be winning'. The sponsor then tells the team 'if you want me to stay with you, you need to give him the winning package'. I accept that we have the freedom to do what we want - and there is nothing I like more than freedom - but racing is also a challenge, a bet, and about diversity sometimes. So I'm sad for Suter because I think they did a really good job. When there was a guy called Marc Marquez on the bike they won the championship. They could also have won it the year before, in 2011, without his eye injury. But it is what it is. For us at Tech 3, it was the first time in many years that I had two guys who were happy to be with us. Who never told me during the season 'I want a Kalex', or 'if I was on a Kalex I could do that'. 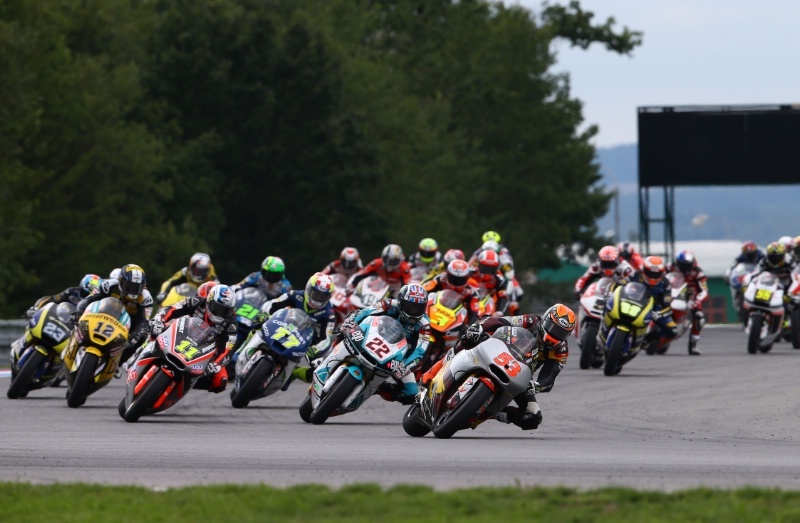 Especially in the smaller classes, Moto3 and Moto2, it is easy to always criticise the package. I've heard so many riders say 'give me a Kalex and I'll be world champion'. I'm not going to give you the names, but I can tell you they got a Kalex and they were not world champion. It is just not that simple. The Kalex is maybe the best package, but you still have to be very fast on it also if you want to win. I respect Kalex a lot. What I am saying is nothing to do with Kalex. They do a perfect job and deserve to be in the situation they are in. Would it be worth setting a limit for the maximum number of riders on each chassis? We've tried and discussed a lot between IRTA, Dorna, the FIM and even the constructors. But it comes back to what I mentioned before; freedom. So if you set a maximum of 15 bikes per constructor, what if there is one more team that is about to lose its main sponsor and stop racing if they do not get a Kalex? Or if you have a team that wants to buy the new Kalex and has already agreed to sell their old Kalex to another team - but then they are not allowed to buy it because it would mean too many Kalex bikes on the grid? It is difficult. In the end Kalex would be happy if the limit could happen, because I think at the moment they have too much. Especially a lot of bikes with two or three years' life on the track. So it is not easy for them to follow and supply all the parts. But they have to. The bottom line is that you can't dictate to the teams what they have to buy and you can't tell them 'no you can't have a Kalex'. Is the single engine rule in Moto2 making the problem worse, because it means that the riders see the chassis as the only real difference? I think the riders look at the results and they see Pol Espargaro won the championship in 2013 with a Kalex and Tito Rabat won the championship in 2014 with a Kalex. They think, 'they are on a Kalex, if I have a Kalex I can do it as well'. This is only my opinion, but maybe 2015 will be a one-off in terms of this situation. Suter is not going to give up and will continue to develop while Tech 3 and Speed Up are still going to be there as well. Any riders that are mid-pack and don't have the level of Kallio or Rabat will find out that it doesn't matter if they have a Kalex. They cannot fight with the top guys. They will maybe understand that it is better to try another route and have something a bit different, with a bit less pressure. So my feeling is that the chassis situation in 2015 will not be repeated. Because you are going to have a lot of Kalex riders at the top of the timesheets and probably the championship, but also some at the bottom. There will be people winning on a Kalex but others will be losing on a Kalex. We will see. Anyway Moto2 is an incredibly exciting class. We can see that it is preparing riders really well for MotoGP because guys like Marquez, Bradl, Iannone, Bradley, Redding and Pol have been instantly fast. I'm happy to be a constructor, to be fighting. It is giving us an incredible amount of pride. It is a lot of work but it is so much more exciting than is we bought a bike off the shelf. Racing is in our blood, our DNA. We like to fight and we like to be involved. In MotoGP it is impossible for us to be a constructer due to the amount of technology. It is game over. You have to forget about building a MotoGP bike. But in Moto2 the current technical spec and rules allow us to do it - so let's do it, have fun and see what we can achieve. I'm very happy at the moment. 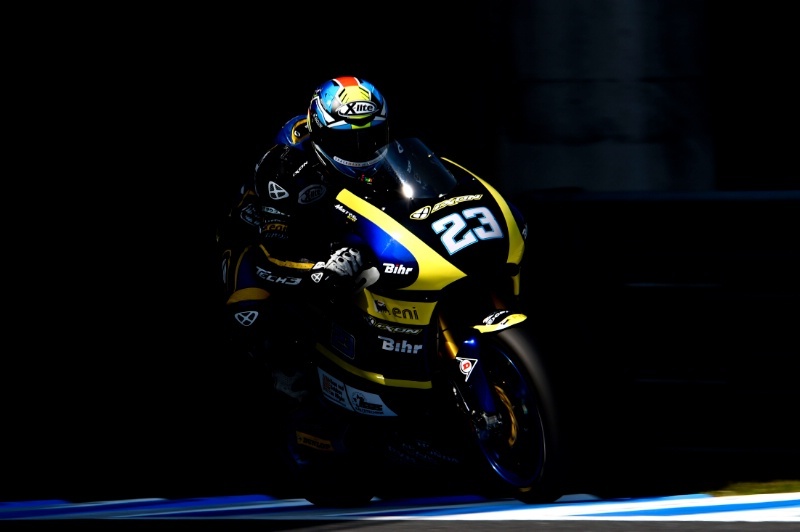 Would you like to see the Moto2 engines made more powerful? No! We had a meeting between the team managers and there was a unanimous decision to keep this CBR 600 engine package. This is the best thing that could happen to us because it is keeping the costs low and the engine is good enough. Look at the lap times for World Supersport in their final round in Qatar and compare with the Moto2 lap times from our first round at the same track. Remember that the Moto2 riders were still learning their package at round one and that WSS has a more powerful engine spec. [Qatar Moto2 pole: 2m 0.081s, WSS: 2m 1.851s. Qatar Moto2 fastest lap: 2m 0.168s, WSS: 2m 1.999s. Qatar Moto2 Race Top Speed: 283.8km/h, WSS: 282.7km/h]. It is very interesting and speaks a lot in favour of Moto2. I also spoke to Florian Marino who was switching between Moto2 and World Supersport a lot last season. He said it is a different world. 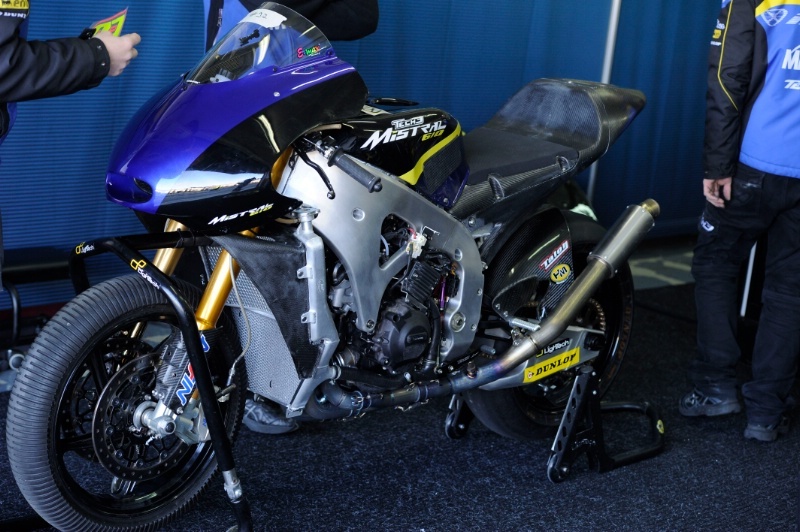 A Moto2 is a prototype. It is reacting and you have to use it like a real racing bike, where Supersport feels like a production machine. Of course that is the definition of each championship and doesn't mean anything bad about Supersport or Superbike. To answer your question, more power? For what. A better show? I don't think it will give us a better show. For more costs? Yes it will bring more costs. For less reliability? Yes it will bring less reliability. So why? Already we do something like 280km/h on the straights. This is not bad. It is quite close to what the 250s were doing. We have a very reliable engine, it is cheap to run and as teams we just forget about the engine and concentrate on the rest. Which is helping us to be a chassis maker and go racing with an affordable budget. Which is very important. So you don't read too much into Jack Miller skipping the Moto2 class? I read some comments from Jerry Burgess about this. But Jerry was always against Moto2. He has the absolute freedom to think what he wants, but I think Jerry is more an engineer, a man who wants the best of what can be. Jerry never had to run a team and be worried about budgets. In an ideal world without any financial problems many things would be different, not only in MotoGP. Anyway I spoke to Jack, as you know, during the 2014 season. And I was very interested. And I spoke with Yamaha. Yamaha supported me and said I could talk to him and ask him to eventually go to MotoGP with us. Because we were in the middle of the season and undecided about and we didn't know what to do. We had to think and I had to prepare my plan for 2015. So I don't think his [Miller's] decision to go from Moto3 to MotoGP is stupid. I don't think it is crazy if you are a top Moto3 rider, with all the tests before the first race and with the fact that he has no pressure to win. I certainly don't think it is dangerous. But just because you can do the jump, it doesn't mean Moto2 is no longer valid. I spoke to Vinales in the past and he wanted to go through Moto2. 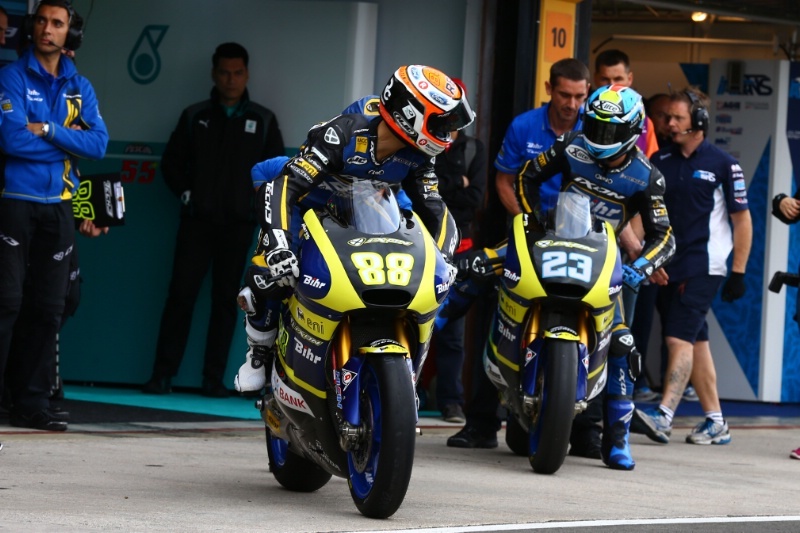 I spoke to Alex Rins and he wanted to go through Moto2. I know Alex Marquez didn't want to go straight to MotoGP. So you have to remember that a lot of Moto3 riders except Jack have said they want to do at least one year of Moto2. Some people have even criticised Vinales for not doing more than one year in Moto2. But I think he took the right decision to move to MotoGP because he didn't have much more to prove or learn. Although Jack has done something interesting, exciting and that can be a success doesn't mean everyone can do it. Most of the guys will always feel more confident to go through the more 'normal' route as done by Bradl, Marquez, Pol, Bradley, Redding, Iannone and others. They felt they were not prepared to go straight to MotoGP and they also know they can be competitive from the beginning in Moto2. Most of the riders in Moto3 are very young so they can certainly afford to spend one or two years in Moto2 before MotoGP. Even if both Honda and Yamaha were interested in Jack, MotoGP team managers will still look more at Moto2 for their future riders. Going straight from Moto3 is a big bet. Okay we will see with Jack, but even then Jack is Jack. Not everybody is like Jack. When you take a Moto2 guy he already has experience of a bike almost as heavy and big as a MotoGP bike. Of course less power and electronics, but you are taking less risk with a top rider from Moto2 compared with a top rider from Moto3. Would you ever consider running a Moto3 team Herve? I believe from 2016 or 2017 we will ban a team from being involved in all three grand prix classes, which I've been supporting. Okay, I would like to have a Moto3 team but it is a question of sponsors. Gresini are still in all three classes, but Aspar gave up because he couldn't afford to be in Moto2 anymore. The problem is if you've got four or five big teams involved in MotoGP, Moto2 and Moto3 it is almost killing the opportunity for new teams to join grand prix. You could also end up with a few teams that have too much power. I think we need to respect the guys that have been here for many years - I'm the oldest team and I want to stay for quite a while more! - but you always have to have the possibility for exciting new projects, with fresh ideas, to join the championship. If I go to Moto3, for example, I'm going to take the place of somebody. Why should that happen? Because I'm Tech 3, IRTA president or because I've been here many years? I'm all for freedom, but I'm also for democracy and when the small number own too much the situation is not so fair. So I'm happy to be in two classes. I think it makes sense. But we need to give the chance to some other guys to be here with us and show what they can do. Smith: I've got to make the most of this opportunity! 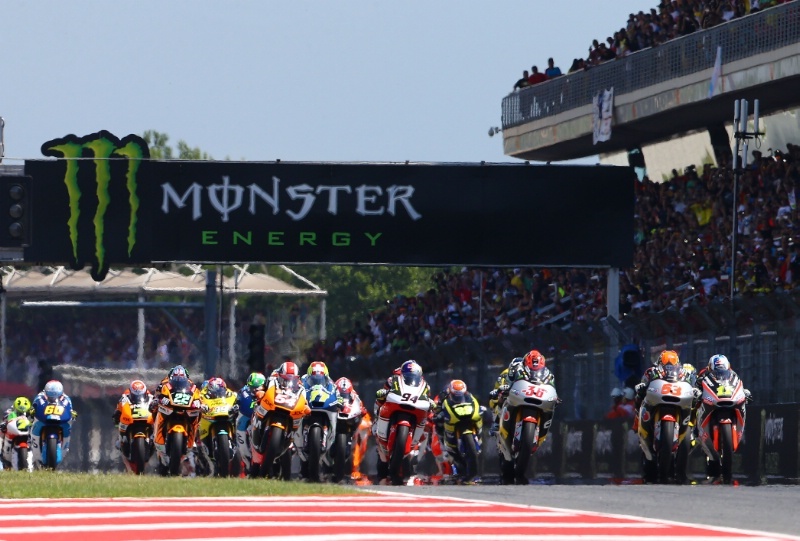 'Positive feedback' for 1000cc MotoGP - Pt 2. 'Positive feedback' for 1000cc MotoGP - Pt 1. Herve Poncharal (Tech 3): MotoGP - Q&A.